In an android you can make lots of customization easily, if you have the rooted device then you can add lots of mods and tweaks on your phone. 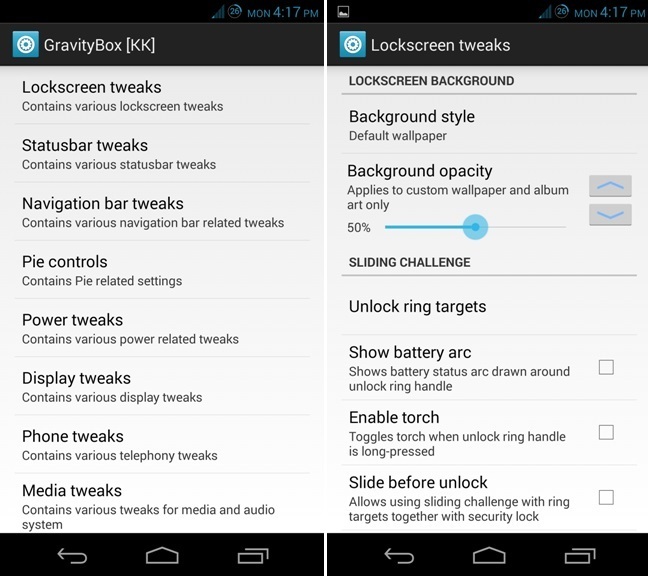 In this guide we;ll show you how you can make lots of change on your phone settings easily with GravityBox Xposed Module. With the help of this module you can easily teak status bar, notification panel, menu buttons, power options, Statusbar icon colors, Navigation bar tweaks and lots more. 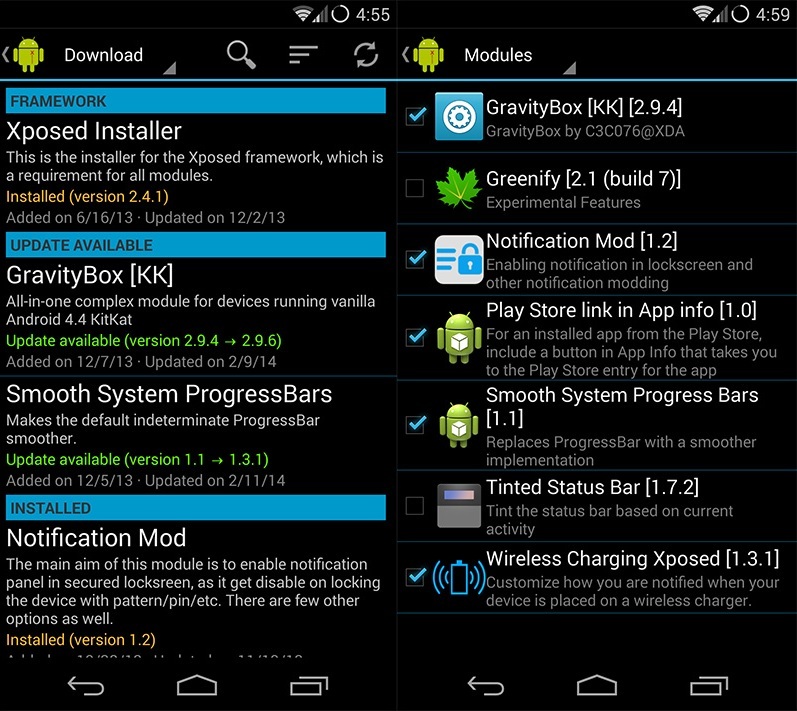 All you need a rooted device with Xposed framework. The process is very simple and you can apply easily on your phone. Before following this guide do take the backup of your android phone. 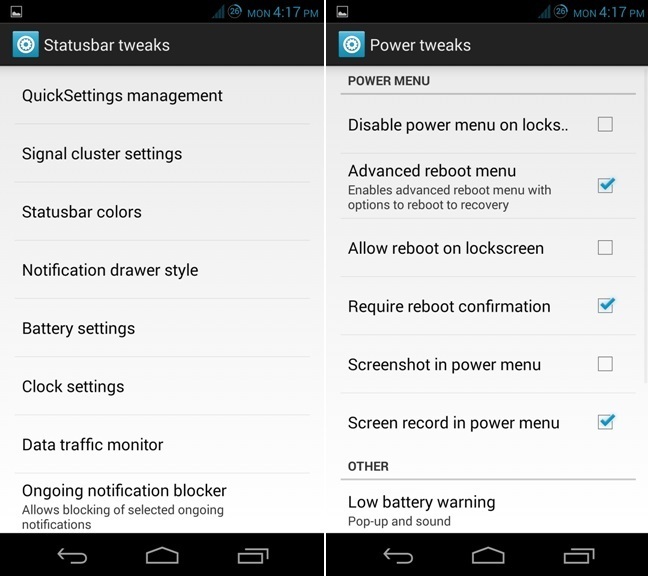 As we mention above to apply these tweaks you need a rooted device. If you don’t have the rooted application than read some of the best rooting tutorial here Howtorootmobile.com. After this follow the below mention guide to get started. Once the device is rooted install the Xposed Installer on your phone. (Read here Guide to Setup and Install Xposed Framework on Android). Now the Xposed framework and Download the GravityBox module from the download page of the application and enable the same from the Module section of the application. Once the module is enabled on your device, reboot you phone or table and you will see the new Gravitybox icon on your app drawer. Launch t he application and you will see lots of tweaks and setting on your app screen. Below are the screen shot of some tweaks. From here you can make a lot of changes on your device. To apply some settings on your device you have to reboot your phone once and you will able to see the changes on your android. By default, GravityBox comes with no extra features enabled, so you can start building up your custom version of Android from the ground up. Fro more information about the application do check the XDA thread here.